Our group of coaches are here to spread some knowledge and help you along your journey! Hailing originally from New Zealand, Gordon moved to the Hamptons' in late 2000 to play rugby. Through his rugby career, Gordon overcame multiple playing injuries including spinal disc surgery. Having been faced with multiple surgeries, Gordon finally found the solution to his underlying issues through movement therapy and functional strength and conditioning. With these experiences under his belt, he set out to open his own studio in 2015, in an effort to help benefit the East End community. With general adults and aspiring athletes at the forefront of his thought process, Gordon geared up to open MuvStrong Inc. The facility was founded upon the morals of community and health and hoped to educated its members on the importance of fitness. He now helps 1v1 and group clients conquer their goals; from movement to weight loss to sport training, Gordon uses all of his certifications to guide you on the journey of fitness, one that he considers to be a life long endeavor. Kristi is an East End transplant who up-rooted herself from Babylon, NY immediately following her graduation from SUNY Cortland, where she had studied in the field of Exercise Science. While at SUNY Cortland she gained over 800 hours of experience in personal training and group exercise. Her senior year, she was assistant to the personal training and group exercise departments, working with student athletes and faculty. Her clientele was made up of a variety of circumstances such as one administrator with a recent knee replacement, another gearing up for the school’s Annual Powerlifting Meet, while a student athlete pursued the world of bodybuilding. Since moving to East Hampton, Kristie has gained rehabilitative experience as an aide to multiple doctors of physical therapy and fallen in love with corrective exercise and strengthening movement patterns. She has also worked with athletes, guiding one member of the community through a powerlifting meet ever, placing silver and gold in three separate categories. Kristi welcomes questions pertaining to corrective exercise for athletes, elderly, and rehabilitation because that is her true passion. Megan, originally from Montauk, began her fitness and nutrition journey at the age of 21 as a personal investment to improve her overall health and well being, it quickly became her passion. What started as a personal journey to health improvement became something so much more when combined with Megan's desire to help others. She is an IIN Certified Health Coach, a Power Pilates Certified Mat Instructor and an ACE Certified Personal Trainer, but is always studying and working toward her next certification. During Megans own fitness journey she has encountered set backs including scoliosis and sciatica, which peaked her interest in movement so she was able to train her body to move properly and prevent injuries. This journey taught Megan that she wanted to share her knowledge with others and so began her involvement in the fitness industry. She started slowly working with health coaching clients on their overall wellness, then followed that with instructing Pilates classes at a local studio and then adding on private and semi private sessions in clients homes. About 3 years ago Megan made the full switch to the fitness industry by adding in her experience as the manager of a local gym and a co-owner of a local fitness studio. Megan is an all around fitness and wellness enthusiast that believes in balance along with leading by example through her own lifestyle choices. She uses these experiences, her studies and her ever growing willingness to learn as a base to program for clients of all levels both through private sessions, semi private sessions and small group classes. Coach Mike is an East End local. 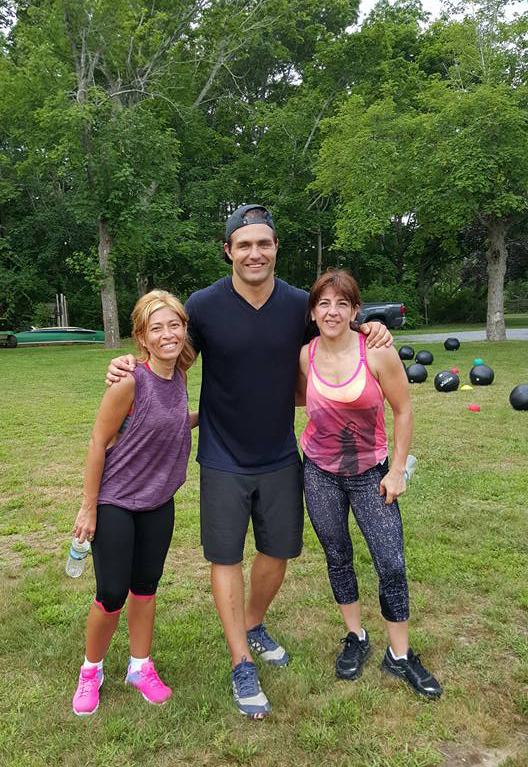 He has been serving the communities of East Hampton and Southampton his whole life from ocean lifeguarding, to catering, to personal training, and also as a certified health and physical education teacher. For the last 7 years he has been very active in the fitness community working in several local gyms and private personal training. After leaving college and football in 2004, Coach Mike pursued a professional rugby career abroad. 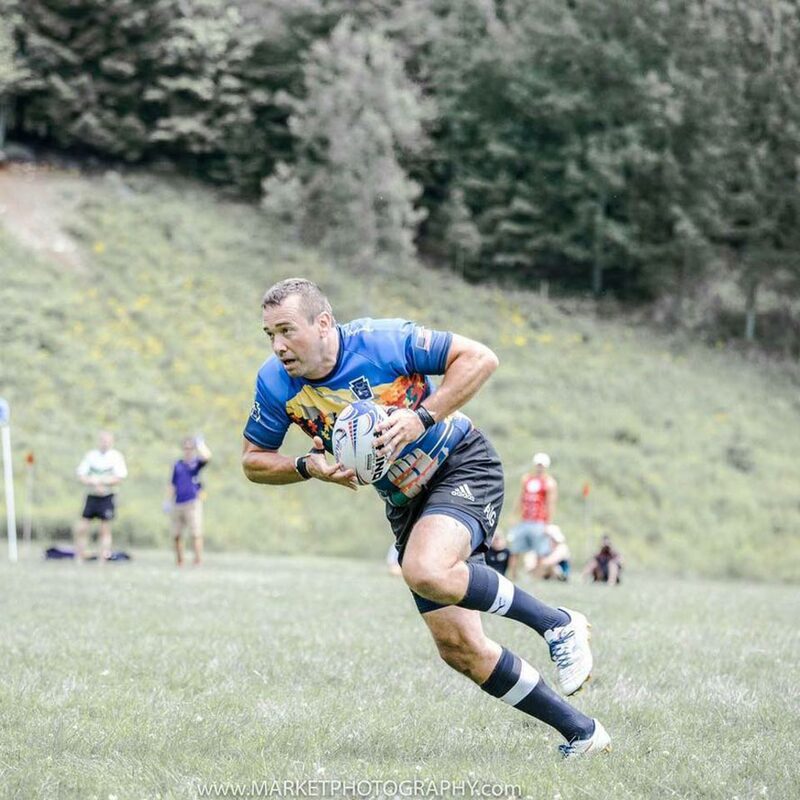 Besides playing locally for the Montauk Sharks, he played for teams in Australia and Scotland before coming back to the states ending his rugby career in Boston, MA in 2011. Soon after he returned to college obtaining Associates in Exercise Science and a Bachelors of Arts in Physical Education and Health. One of his main goals is to raise the bar in QUALITY of movement. Looking good is one thing, but feeling good and moving well is paramount for long-term success. Being strong in all ranges of movement lessens chance of injury and sets ground work for reaching the next level of your fitness quest. Certifications: Olympic lifting coach, Concept 2 Rowing, Crossfit level 1 and 2, Crossfit gymnastics, and ISSA. Evelyn loves water. She is a yoga teacher, competitive stand up paddle racer, paddle-board instructor and rabid year-round surfer who moved to East Hampton over 25 years ago. Originally from Westchester, Evelyn fell in love with sports in high school through cross country running and basketball. Later in life, she was diagnosed with scoliosis and when told she needed surgery, she opted for the study of yoga instead. Evelyn has been practicing yoga for 18+ years and teaching for over 8. Her background in Anusara Yoga has made her a lifelong student of alignment and her commitment to meditation & breath-work are essential ingredients in her success as an athlete. Evelyn's competitive career as a stand up paddle racer began in 2004 and instilled in her the importance of a movement mindset. In race season, she competes throughout the US, Puerto Rico, California and Europe. 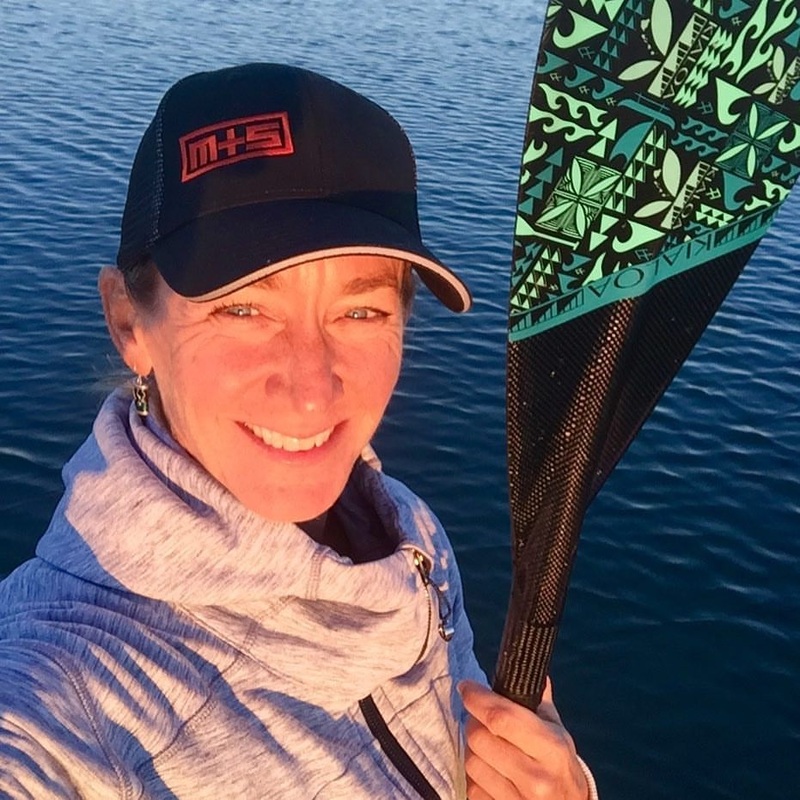 Building her body for endurance training, long distance paddles and sprints, she's knows that efficient functional movement patterns are essential to overall success both on and off the water. Ev originally came to MuvStrong as an ambassador, became inspired by the movement & mobility work she learned and now teaches on the team as mobility coach and yoga instructor. In the winters Ev writes for multiple media sources about her passions: stand up paddling, surfing and training. Coach Rich is from Montauk, NY. For nearly 10 years he has been fighting in the ring as an amateur boxer. He predominantly trains with Coach Vargas out of Vargas Boxing in Patchogue, NY and is always working on his own training. Coach Rich has been inspired by those who have led him to where he is in his personal life. 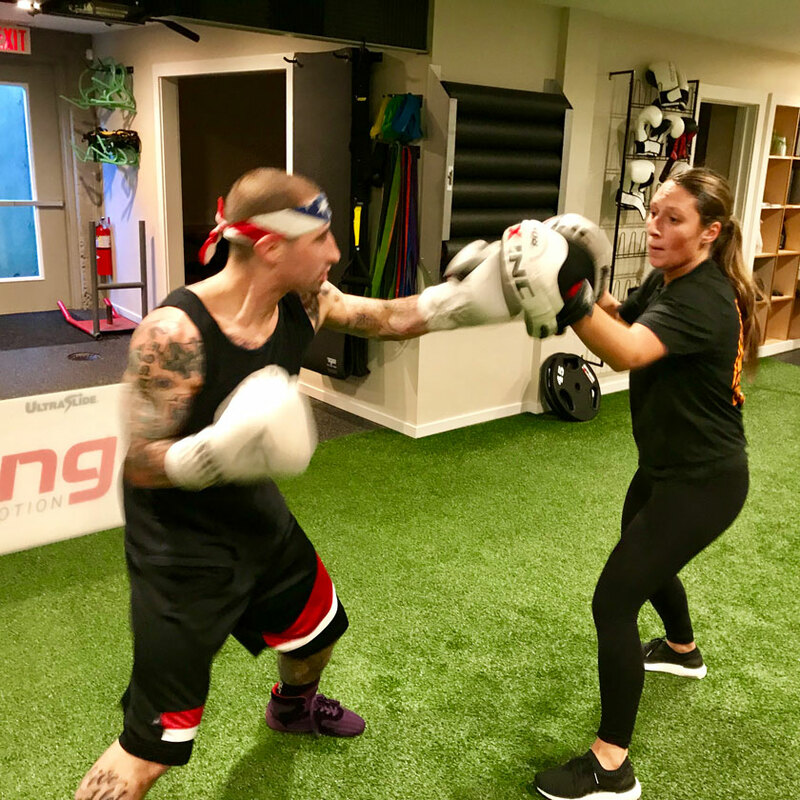 Over the past 3 years he has worked to obtain his personal training certification and has found his niche coaching boxing in both the 1v1 and group setting. Growing up Danielle was introduced to sports at a young age. Starting at the Montauk School and then playing at East Hampton High School her passion for sports grew. Although she enjoyed playing all sports her love for field hockey was the greatest and she began traveling to New Jersey biweekly to play for the New Jersey Impact Academy- a travel team. She knew she wanted to continue her career in college and was recruited by Susquehanna University. After playing for 2 years at Susquehanna University Danielle transferred to Drew University. Senior year she was named a Regional All American field hockey player. It was at Drew University where Danielle began to develop a passion for coaching. After graduating Danielle was asked to be the assistant coach for Drew's field hockey team. She developed strength and conditioning workouts for the team, summer training packets, indoor clinics for junior high and high school students, and a summer camp at the university. Danielle loved her time in New Jersey, but new she wanted to return back to the East End of Long Island. After she returned home she began coaching the East Hampton High School Junior Varsity Field Hockey Team and worked as a physical therapy aide. At this time she knew wanted a career in fitness and began her personal training certification. Today, Danielle has taken all her experiences from being an athlete, training athletes, and enjoying a variety of fitness and exercises to inspire her work. Growing up in Slovakia in a sports oriented family, Kikis first foray into sports was when she started training as a nationally selected gymnast at the age of 5. By the age of ten, Kiki's Dad introduced her to tennis and she fell in love with the sport. She immerse herself into tennis training on and off the court. Kiki played professionally, and competed in tournaments all over the world. In 2012 Kiki was selected to play collegiate tennis for Auburn University at Montgomery where she graduated with a B.S in Exercise Science and Kinesiology. While attending AUM, Kiki won the Women’s National Team Championship three years in a row and then went on to coach the Men’s & Women’s Tennis Teams. It was while playing and coaching colligate tennis, that she found herself interested in knowing more about fitness. Her passion opened another door, and she quickly realized that fitness was an essential component for success on the tennis court. 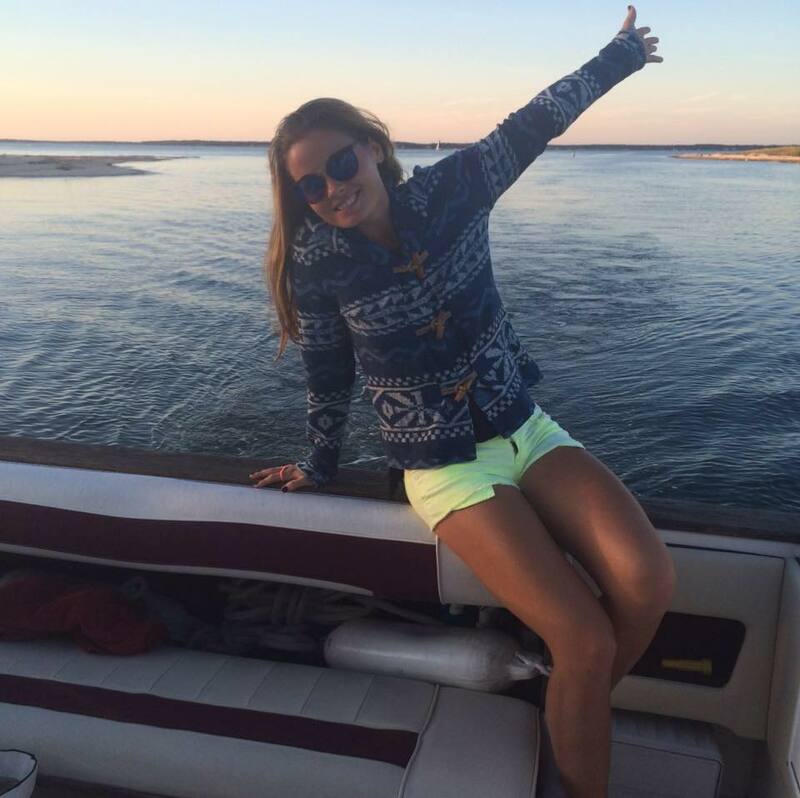 Kiki's tennis journey further lead her to the Hamptons in 2014 where she became a teaching tennis professional. It was here that Kiki started to work as a fitness trainer and strength and conditioning coach integrating fitness and tennis. Brook is a native East Ender, has been around the water and fitness his entire life. Playing a variety of sports through his youth, Brook also certified as an ocean life guard and excelled at endurance athletics. At college Brook decided to pursue collegiate and semi-professional soccer. Wanting to take on a new challenge, Brook went into the Navy and participated in the elite Navy Special Warfare Schools as well as the Navy Special Warfare Survival School. These experiences have given him a unique insight into various training methodologies and the ability to strengthen your mind to complete any task presented in your everyday life. Having participated in various endurance challenges, training programming and competitions, Brook brings a wealth of experience to the team at MuvStrong. Specializing in strength, endurance and an unbeatable mind, Brooks training techniques and training environment are customized individually to achieve high results for each client. Brooks passion is more then just fitness, but embracing the lifestyle of fitness which builds the pillars upon which you can improve not just your body, but your mind and overall life. 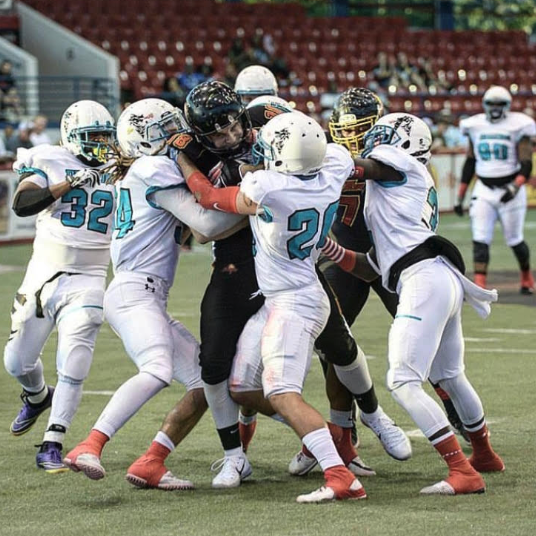 Chris grew up in Montauk and has returned to the Hamptons to pursue a career in training having played professional Arena Football for the past 5 years. Chris’s Arena football career started with the Georgia Rampage in 2013, then the Pennsylvania Steam in 2014. In 2015, he tore his meniscus before training camp with St. Louis, and that effectively ended his season early. 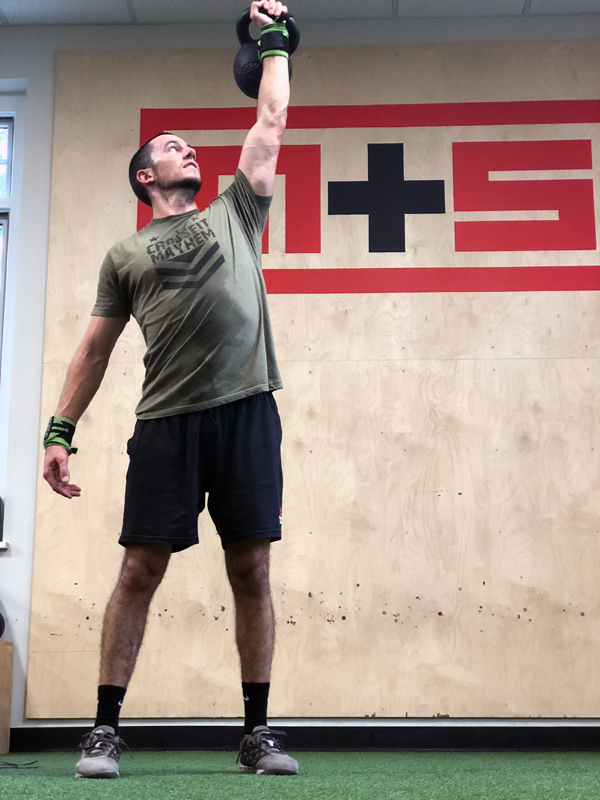 Whilst injured Chris trained and rehabbed the knee at Muvstrong as a free agent and traveled back and forth from Montauk to North Carolina to play for the Triangle Torch as a Receiver. In December 2015 he signed with the Torch for the 2016 season as a practice squad player. For a year and a half Chris trained and grinded on and off the field and eventually he signed for the Torch as part of the starting squad in 2017. Over the years Chris has worked with many great trainers for Speed, Agility, Strength, Conditioning and even olympic weight trainers. One of Chris’s biggest takeaways from all this training was how fast the knowledge of the human body has increased. To this end one of Chris’s main goals in training clients is to always be up to date with new ways to train athleticism. This includes teaching about mobility and injury prevention. In Chris’s career he has had to overcome many injuries including ones that should have been career ending. He has had two herniated discs, a knee injury, a torn labrum in his shoulder and hip, a torn rotator cuff, and a sports hernia. These experiences gave Chris first hand knowledge and skills for training athletes and weekend warriors for a safe and effective return to competition. Whether training an adult to get ready to run their first half marathon, training a high school or college athlete for their upcoming season, or training kids to building strength and mobility, Chris's focus is always on the overall strength and protection of the body to be the best version of itself.